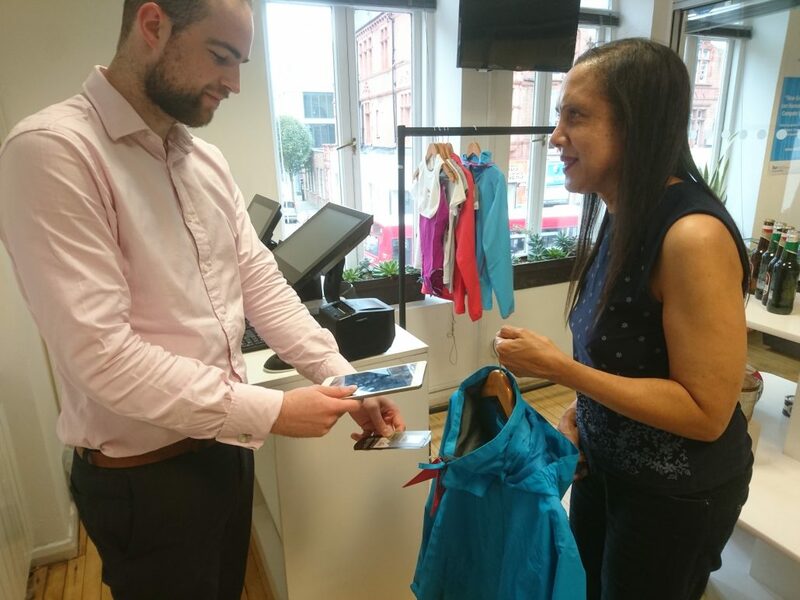 Previously only brandished by sales assistants in high-end luxury and boutique retailers, mobile point of sale devices – or MPoS – are now becoming more commonplace on the high-street. 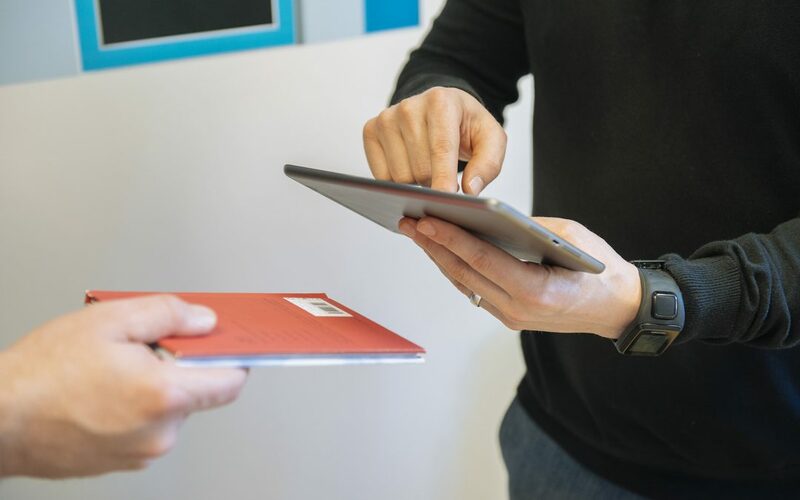 Well known shops including Argos, Schuh and Oliver Bonas are now offering enhanced customer experiences via MPoS enabled tablet or smartphone devices. In the sportswear sector JD Sports is using MPoS in-store for its footwear offering, with future plans to enable the devices to support its full range. Nike’s own stores also now boast assistants with MPoS devices, offering both staff and customers multiple benefits. The most obvious benefits for customers, is that MPoS can reduce queue times in stores, in turn providing an enhanced in-store experience. Assistants with MPoS devices can alleviate the pressure on till staff during busy times, by processing payments from any area of the shop. This increases customer satisfaction – even us Brits don’t like queuing that much to choose waiting in line over an on-the-spot solution! Faced with a long queue, shoppers may leave the store and a sale could be lost. MPoS devices reduce that risk. MPoS devices can also be used for customers to return or exchange items, again helping to reduce queue size at the traditional static paying points. Another advantage of using MPoS is that it makes your store operational beyond its four walls. Do you sell products at local events, trade shows or artisan markets? An MPoS device makes this infinitely easier. Not only can you process purchases without lugging a heavy till with you and needing an electricity point, but all the information on the sales you made will be centrally stored and synced with your in-store POS system. By using an online connection (3G, 4G or Wi-Fi) back to your shop’s POS and inventory system, you can grow your business by taking it anywhere potential customers are. One of the main benefits of using MPoS is that you are no longer restricted to solely selling in your bricks and mortar establishment. MPoS devices contain all your products and customer information, empowering assistants that carry them. As such, your sales staff can become consultants as they can better inform customers about the products they are interested in. They can also pull up details on the customer they are liaising with, seeing their purchasing history and, perhaps, being prompted to offer loyal shoppers and discount or a special gift. For example, 20% off a pair of trainers for a customer that has spent over £200 with you in the last 3 months; or a free notebook for a consumer that makes their second purchase with you. All of which, again, enhances the relationship between that customer and your operation. Additionally, your staff can use MPoS to gain customer information details – be it an email address or brand preferences – either before, during or after purchase from anywhere in your store. MPoS devices offer e-receipts functionality, which is another simple way to obtain customer details. Such info will then be added to your customer database and can be used for future engagement. Demand for mobile tech in-store is evident: 72% of consumers want store associates to personalise encounters using mobile devices, according to RichRelevance, while 40% want staff to use technology to demonstrate deep product knowledge. To go live with MPoS you simply need a merchant account, a mobile application and a card reader. We have added MPoS devices and services to a number of our clients – in the sports retail sector and beyond.